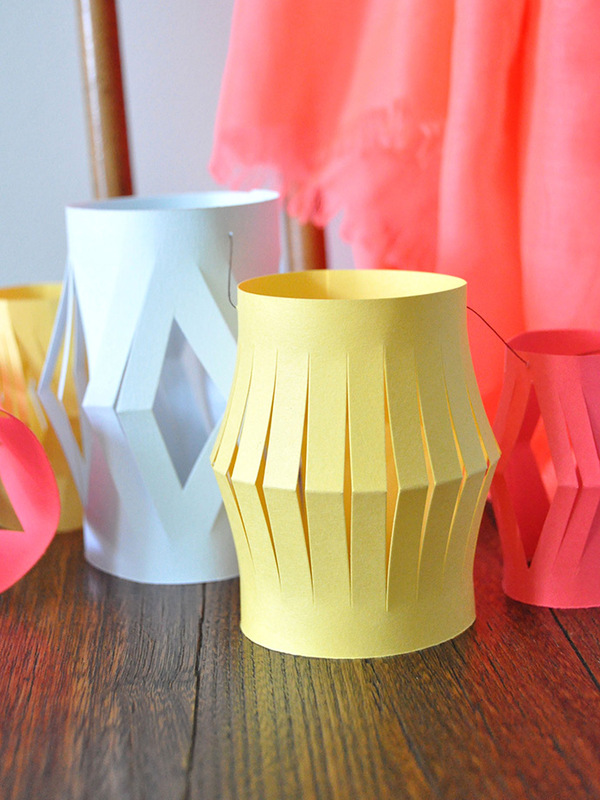 Did you ever make paper lanterns as a kid? 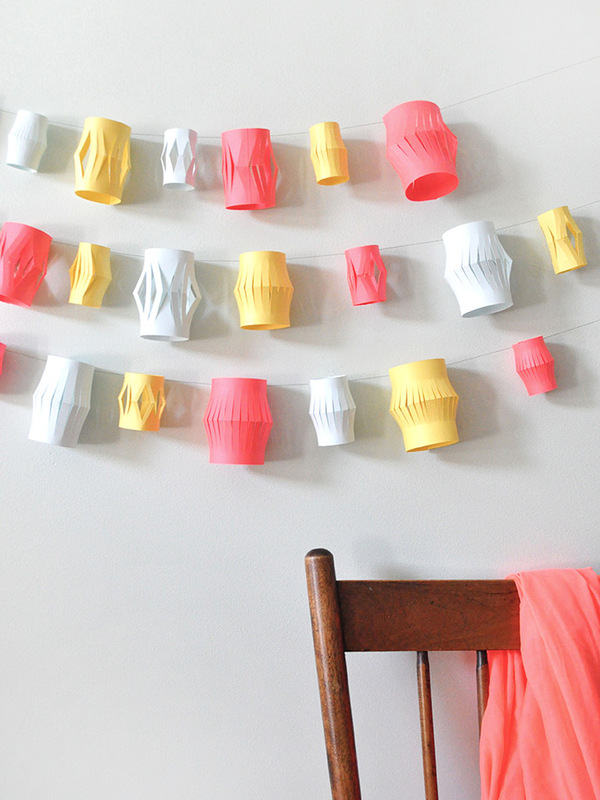 Use brighter colours and simple shapes to make a modern and playful garland for your next party! 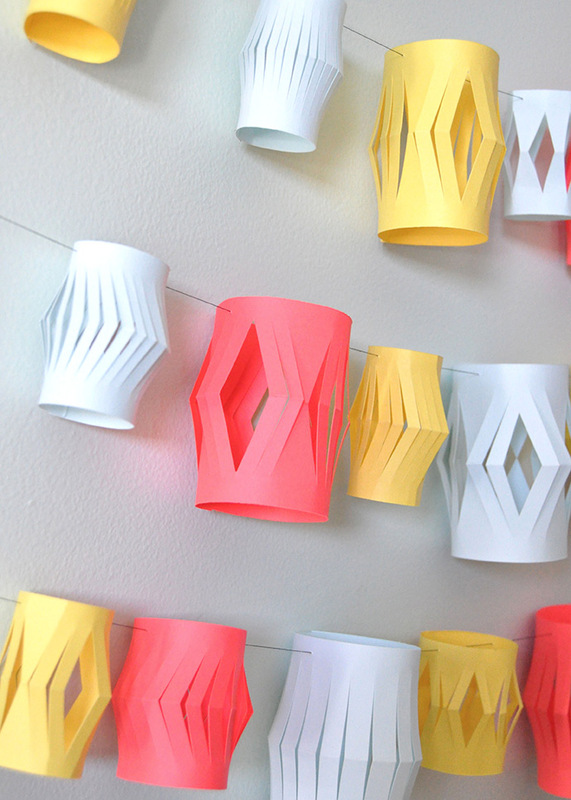 This is an amazing way to use up those paper scraps you’ve been holding onto, or if you don’t have enough paper on hand, grab a pack from the craft store – the color-coordinated multipacks would be perfect for this! We used pale blue, medium yellow, and neon red card stock for this one, and we love how simple and modern the end result is. And did we mention how quickly this garland comes together? This is a great one to do if you’re in a time crunch, or if you’re looking for something to work on while you and your kids watch a movie or listen to a podcast. 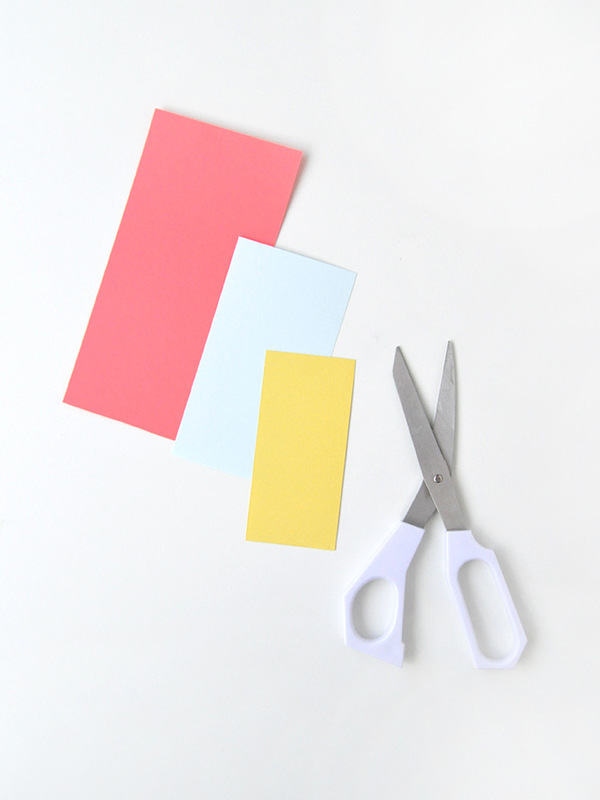 Card stock might be a little trickier for smaller kids to work with, so feel free to swap in construction or scrapbook paper to make things easier. So grab some paper and scissors, and keep reading for the full instructions below! 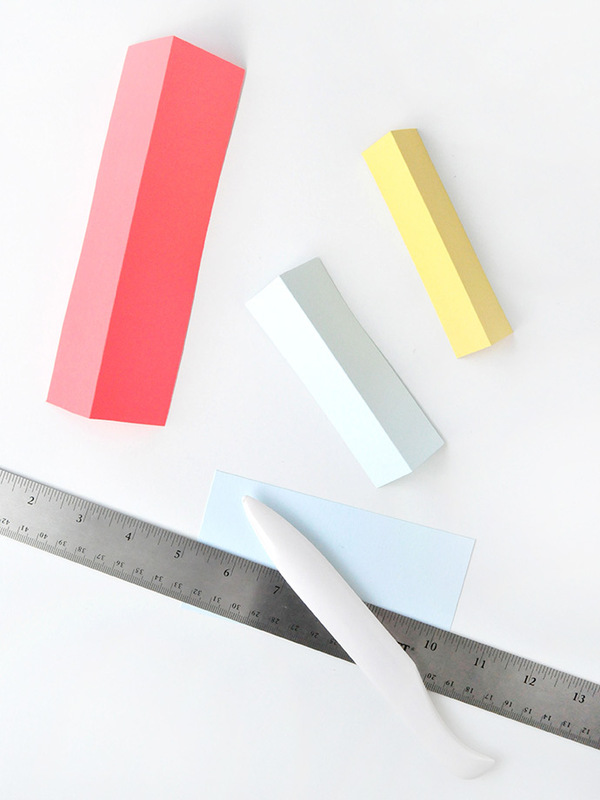 Cut rectangles in various sizes – the ones pictured range from 2” by 4” to 3 1⁄2” by 7”. 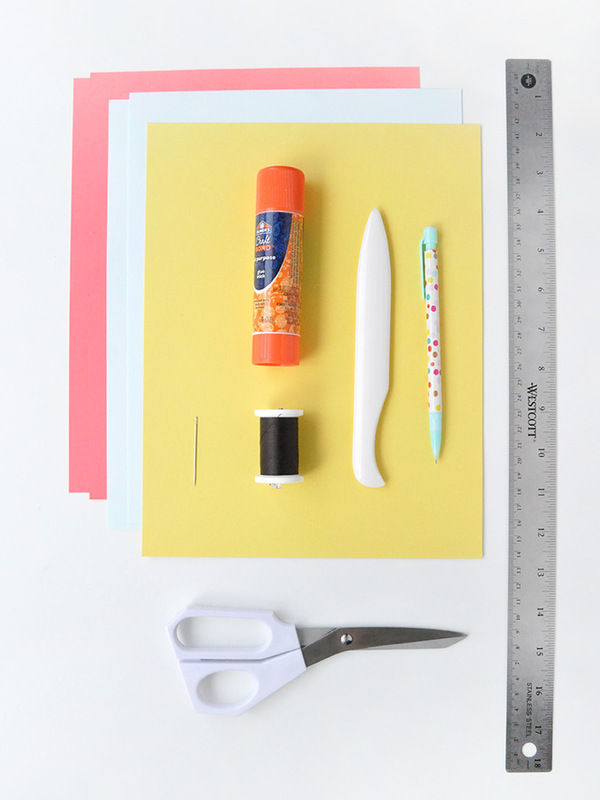 Use a ruler and bone folder to crease a long line down the centre of the rectangle and fold. 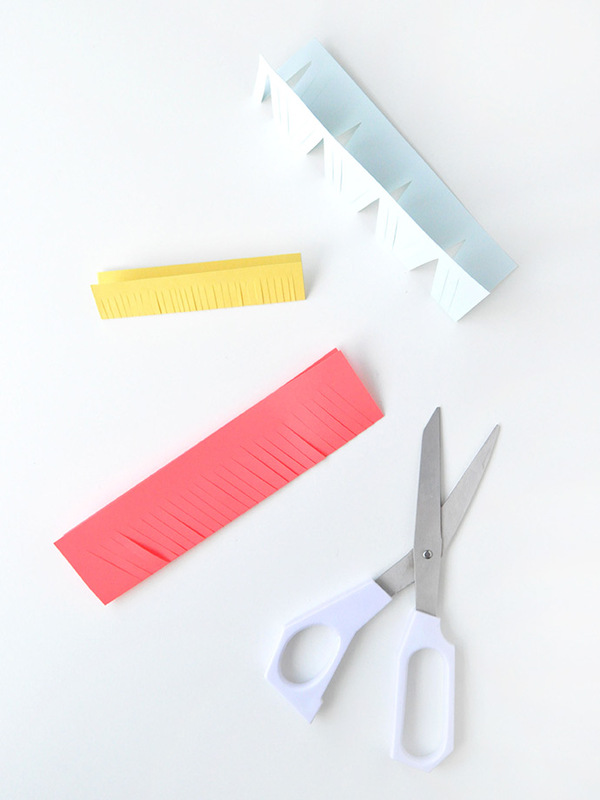 Use scissors to make cuts along the fold. Try straight lines, diagonal lines, or a mixture of diagonal lines and triangles. 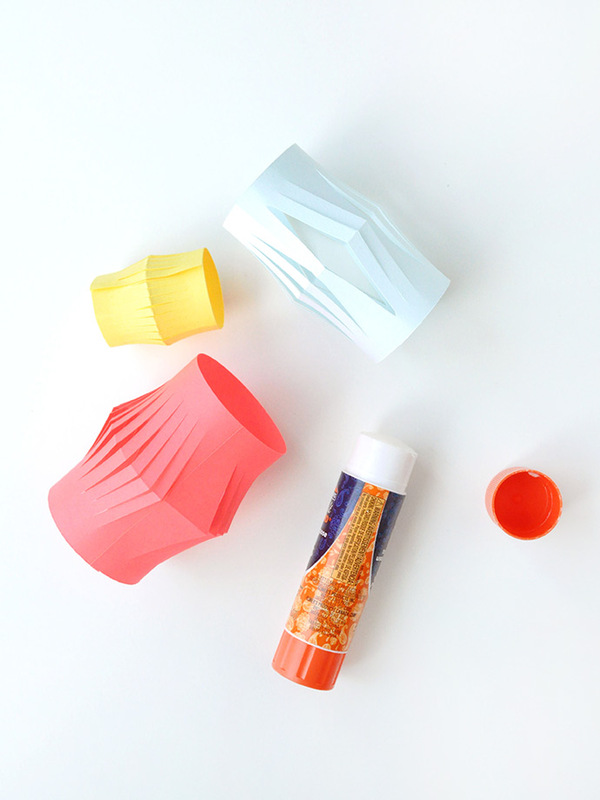 Unfold the papers and glue the two short ends together, forming a tubular lantern. Cut a long piece of thread and thread through the needle. 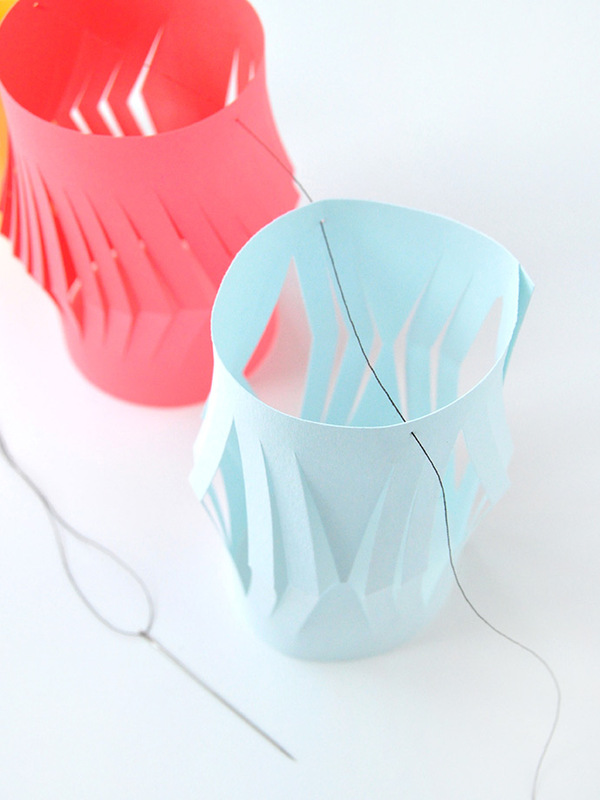 Use the needle to pierce holes across the tops of the lanterns to string them all together. Aren’t they fun? We love these bright colors and think they’d go so nicely with our DIY painted Thanksgiving tablescape! 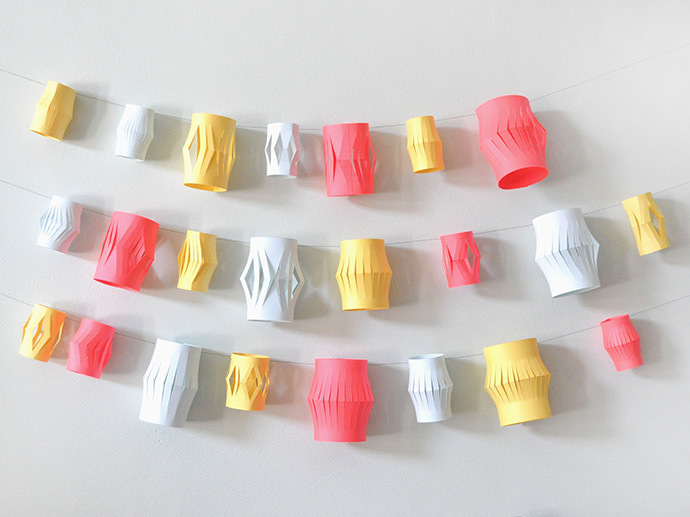 What colors will you use for your paper lantern garland? And if you love making lanterns as much as we do, you’ll love these marbled paper lanterns, these DIY tree bark lanterns, and of course how to make stenciled Chinese lanterns!